ANYONE WHO DOES NOT SAVE CONSISTENTLY, NO MATTER HOW LITTLE HIS/HER INCOME, OR BECAUSE HE/SHE CANNOT MAKE A REGULAR INCOME (NO MATTER WHAT)! And you should know that most people aren't so helpless as to not be able to save their way out of poverty, as we all are wont to think. 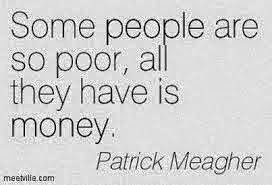 The first category of poor people are those who don’t have money due to uncontrollable circumstances (the circumstantially poor of the world). 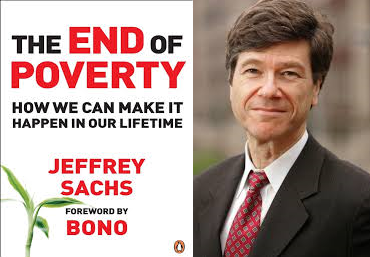 They are the people who Economists like Jeffrey Sachs say are in a 'Poverty Trap'. Famine, Malaria, War, Landlockedness, and many more are factors that can confer poverty on a people, due to no fault of theirs. When the world talks about poverty, they are referring to these people. Then, there is another category Patrick Meagher identified correctly. These are people that are so poor all they have is money! They are the kind of people that you hear of committing suicide after a financial loss in their business, or loss of job or fall in their stock portfolio. And even when they don't commit suicide, they live like they have. I read in the book Money: master the game (I owe you a review of it too) about the one-time richest man in Germany Adolf Merckle who committed suicide in 2009. He placed a sell order on Volkswagen just before the 2008 recession and lost about 400 million Euros because the share price went up shortly afterwards. The recession also made him lose $3 billion out of his $9 billion net-worth, so he no longer was the richest man in Germany, and his son had to step down as CEO of one of his many companies. But because he attached his self worth and prestige in life to his money, a temporary loss of it meant his life was not worth living anymore. Most rich people ('The rich poor men', or should I say 'the poor rich men'?) 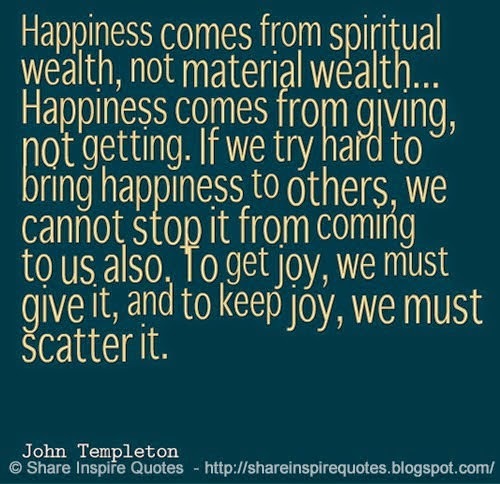 are not contented or grateful. They hold on to their money and mostly define themselves by/have no life outside of their wealth. They keep wanting more and more money. 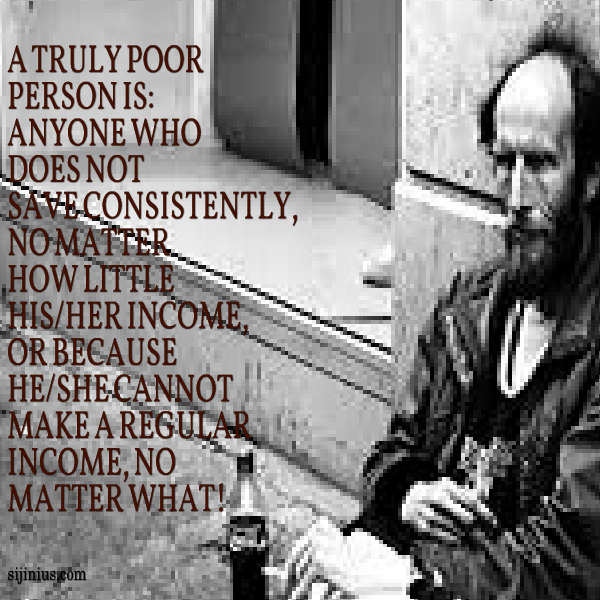 That is being poor in spite of wealth. However, the poorest people in the world are those who can make money but do not consistently pay themselves out of their income, regardless of whether they live in a developed world or not, regardless of whether they earn millions of dollars annually or not! If you regularly spend all you earn, and then accumulate bad debts, you are poor. Like I tell people, the richest people in the world are not necessarily those you see around you driving Rolls Royce or Bentleys, or who live in the biggest houses.... The book 'The Millionaire next door,' by Thomas Stanley and William Danko, already told us that by scientific evidence. The reason why the online personal finance blogosphere is as big as it is with a lot of PF bloggers, is because there are more poor people in the (developed) world -with credit card debts, bad loans, etc- than you think. Most people spend more than they earn, and will ever earn, in fact. So they are poor. Make a choice today to be rich, in your mentality to money, and then physically. I wish you all the best on your journey to financial freedom.